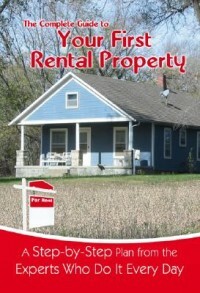 Kansas City Investment Property and Property Management | Real estate investing and property management in Kansas City. Wow. I just realized I have now been working with investment properties in Kansas City for fifteen years now and before that two years in Tulsa. In addition, I have been working as a property manager in Kansas City since 2006. My how time flies. There have been a lot of changes in my career and the investment property business since 2004 when I returned to Kansas City. I arrived in boom. Lived through bust. And now we are (at the end?) in another boom. Does that mean we’ll not have a bust? Or even a slow down here in the Midwest? Does that mean the buy, rehab and hold is still a great strategy…that keeps getting better? (Note that link is from 2011…can’t get those returns or prices today.) Does any of that really matter and the economy will still shift here in the middle of the country? Look, I still believe wholeheartedly in real estate investing. Owning income property is a great way to hedge inflation while earning from the 4 Benefits of Real Estate Investing. Yet, timing can matter. All I’m saying is proceed with caution. If you are planning on buying and renting property for the next three to four years I’d be super cautious. If you are planning on owning rental homes for the next seven years or more, I’d say green light. After all, time is your friend when you own real estate. When it comes to securing your retirement through rental properties it is best if you understand your criteria when buying income property. Today I sat down with a fellow realtor here in the Kansas City area and two investors that own one rental property with plans to add many more. What I found is what I usually find. You see, I asked them what their criteria was for what they were looking to acquire. I’m not picking on them, I’m really truly not when I say they did what most newer real estate investors do… they went silent. What return are you expecting? How do you measure the return? Single Family Home or Multi? Is the school district important? I could add a whole bunch more. Or, you could watch those videos. Listen, I know the videos are boring. I don’t know how to make real estate investing more exciting unless I stand in front of a rented garage full of luxury sports cars and half dressed women. Oh wait, for the gurus out there I’m sorry (not) if I offended you. So here is a fun fact; I am now a KW MAPS Coach. In addition to my duties as Broker/Owner of Ad Astra Realty, Inc ( a Kansas City property management company) I am also the Team Leader of Keller Williams Realty, Diamond Partners, Inc of Olathe, Kansas. Those two positions are not new and many of you already knew that. Recently, because of our success at building KW’s Olathe office, MAPS, an agent and leadership coaching company for Keller Williams, asked if I would also coach other Team Leaders for KW around the country. Sounded like fun, so here I am. Thank you everyone for everything you’ve done. Ya’ll rock.